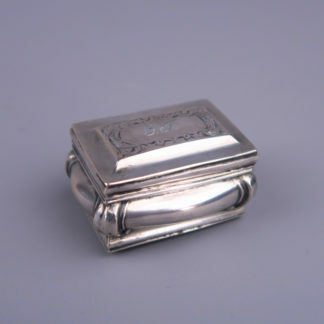 Home / Shop / Silverware / Silver Boxes / Silver Snuff or Pill box, Belgium, Liege circa 1850. Silver Snuff or Pill box, Belgium city of Liege circa 1850. 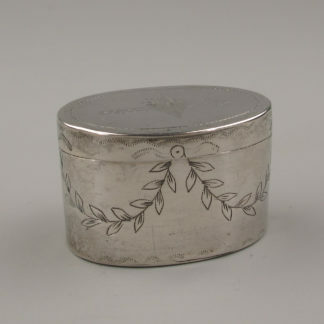 The box has been engraved around, on the top of the lid is an engraved image of a dog. 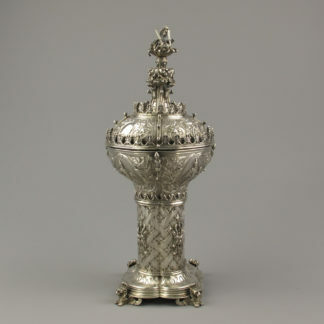 The box has Belgium hallmarks, Janus head for 1831 – 1868. Minerva head, possibly Liege. Unreadable Silversmith mark. 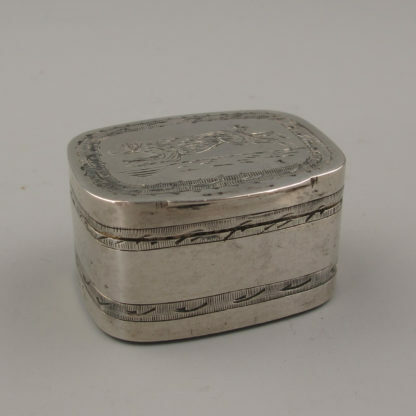 The box measures 3,5 cm x 3 cm and 2 cm high.